Can Trump Save American Health Care With an Executive Order? So far, Republicans haven’t been able to do jack squat with regards to the repeal of Obamacare in Congress, so now President Donald Trump is being forced to take matters into his own hands. 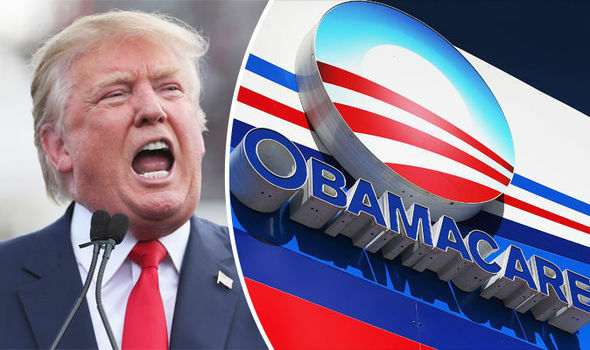 With an executive order, Trump is rolling back some of the regulations hindering the free healthcare marketplace, hoping to restore choice and affordability to millions of consumers within the framework of the current law. Trump is expected to sign an executive order on Thursday directing an overhaul of major federal regulations that would encourage the rise of a raft of cheap, loosely regulated health insurance plans that don’t have to comply with certain Obamacare consumer protections and benefit rules. They’d attract younger and healthier people — leaving older and sicker ones in the Obamacare markets facing higher and higher costs. It’s not yet clear how far the administration will go, or how quickly it can implement the president’s order. But if successful, the new rules could upend the way businesses and individuals buy coverage — lowering premiums for the healthiest Americans at the expense of key consumer protections and potentially tipping the Obamacare markets into a tailspin. The specific focus of the order is on association health plans, which allow small businessmen, trade groups, and other communities to band together and purchase health insurance that mimics the kind of low-cost plans larger employers provide. These association health plans have been largely off the market under the current regulatory system, and experts fret that throwing the door open to them will bring a swift end to the Obamacare marketplace. CNN reported Thursday that the executive orders direct the Labor Department to conduct a study on how the federal government can make it easier on small groups of individuals and companies to purchase health insurance through association plans. Trump’s order will also raise restrictions on the ability of Americans to buy short-term policies that do not have to comply with all of Obamacare’s regulatory requirements, such as the mandate to cover pre-existing conditions. This will allow young, healthy individuals to opt out of the more expensive plans available through the Obamacare system. On their own, these executive orders are likely to have one effect and one effect only: To bring Republicans and Democrats on Capitol Hill back to the negotiating table. Because if healthy people do not have to purchase expensive plans, the Obamacare market is going to collapse in short order. Trump’s orders will hopefully light a fire under Congress and ultimately rid us of the burdensome, anti-capitalist healthcare system that is Barack Obama’s legacy.